A new high-profile report supported, among others, by World Bank, has said that the Government of India estimate that the country’s urban population, 420 million or 33% of its total population in 2015, undervalues the “true extent” of urbanization in the country. Apart from the World Bank, those who have partnered for preparing the report include World Resources Institute, Indian Council for Research on International Economic Relations, Coalition for Urban Transitions and University of North Carolina, US. However, the report warns, the fast pace of unplanned urbanization adds to huge infrastructure costs. “Land regulations restrict the construction of tall buildings and availability of built-up space, with pervasive, harmful consequences, including severe overcrowding”, it says. “In contrast, a typical commuter by public transport in India may pay Rs 2,000–10,000 annually for fares, and a bicycle user typically Rs 2,000–4,000 annually”, it underlines. 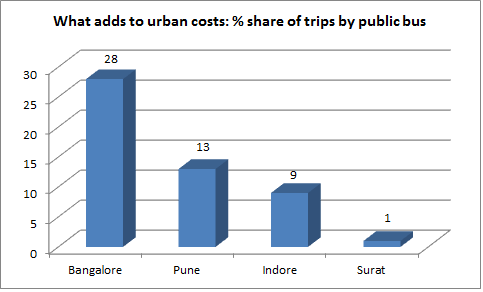 Providing a comparison of four cities, the report suggests, the cost would be particularly high in Surat, where there is just 1% share of trips by public bus, compared to 28% in Bangalore, 13% in Pune and 9% in Indore. 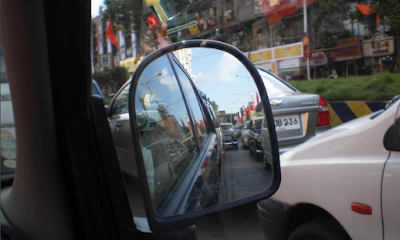 Added to this are related problems such as significant increase “vehicle crash” frequency, traffic congestion, air, and noise pollution costs, increased health risks, reductions in open space, potentially leading to reduced agricultural productivity and environmental benefits, growing external fuel costs, and so on, the report says. In aggregate terms, the report says, these costs could be a whopping US$330 billion to US$1.8 trillion per annum by 2050, which is equal to 1.2–6.3% of GDP.